A week and a half ago news emerged from Havana that the FARC (Revolutionary Armed Forces of Colombia) and the Colombian government had reached a framework for a final peace agreement to be signed within six months. This was hailed as a breakthrough in the half-century-old conflict and an opportunity to bring peace to the people of Colombia. But by adopting the government’s narrative, mainstream media have failed to recognize the primary cause of the violence and the inevitability that it will continue in the future. The decades-long policy of the Colombian government has been a national security strategy of counterinsurgency, developed in the late 1950s under the sponsorship of the US military. The goal of the US government was to maintain a business-friendly political system that would implement economic policies amenable to multinational corporations and foreign capital. Resistance to such policies was deemed subversion, and people who sympathized with such resistance were branded as internal enemies to be eliminated or neutralized by military means. The narrative of the national security doctrine holds that if the insurgent threat is eliminated, then peace will be restored. 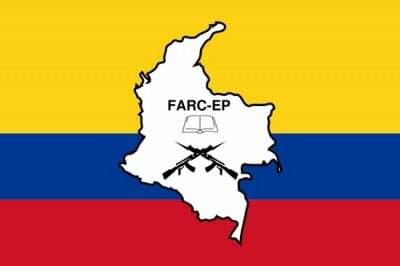 The implicit assumption is that the FARC rebels have always been the side standing in the way of peace. According to this interpretation, when the FARC initiated their military operations the state was acting for the benefit of the nation as a whole by organizing a counter response. But this narrative is historically inaccurate. The Colombian conflict is not a battle of society at large against a group of guerillas, but a battle of a small group of elites controlling the state apparatus against the majority of the population. After the FARC developed as the armed wing of the Communist Party in Colombia, the counterinsurgency doctrine – developed by the US military and codified in manuals distributed as early as the 1960s – taught the US’s Colombian counterparts to view any advocacy for social justice or democratic reform as a form of Communist insurgency. In addition to armed rebels, clergy, academics, labor leaders, human rights workers, and other members of civil society became potential insurgent targets. To further extend their reach into Colombian society, the government legally authorized paramilitarism in 1965 with Plan Lazlo to form “civilian defense forces” armed and incorporated into the Colombian military system. These forces serve the government’s goal of preserving the status quo by carrying out their dirty work through the use of death squads, assassinations, torture, intimidation and disappearances while providing cover and the appearance of distance from the state itself. If one accepts the national security narrative that most violence by the government amounts to collateral damage as a result of reaction to insurgent aggression, then guerillas would be responsible for the majority of deaths and injuries. But this is hardly the case. Washington’s counterinsurgency policy is seen not only as an instrument for peace, but as the primary factor enabling its achievement. This is stunning historical revisionism that portrays the instigator and sponsor of massive violence that has lasted decades as an honest broker for ending this violence. In reality, Washington’s intervention began 40 years earlier than Londoño claims, and it created the war that has raged ever since. By any objective measure, US policy in Colombia has been an abject failure. Under US direction, funding and training, the Colombian state has had one of the worst human rights records in the hemisphere. Many human rights organizations attest to this, and have demanded an end to US military aid to Colombia. “Year after year US policy has ignored the evidence and the cries of the United Nations, Colombian and international non-governmental organizations and the people of Colombia. Plan Colombia is a failure in every respect and human rights in Colombia will not improve until there is a fundamental shift in US foreign policy,” writes Amnesty International USA. What the New York Times and the mainstream media miss in their analysis is that the current neoliberal Colombian sociopolitical system necessitates the continuance of violence to accommodate capital. Hristov says that in order for the government to meet FARC’s demands, they would have to invest in social programs at the expense of the military-security apparatus currently in place. But since these systems serve the neoliberal economic restructuring that funnels land and resources from the masses to the tiny elite minority, it would be naive to assume this will happen. The portrayal of the Colombian conflict in the New York Times and other mainstream media replicates state propaganda, in the form of the national security doctrine, while failing to account for the inherent violence of the economic system in Colombia that has driven the perpetual militarism and coercion in the country. While any agreement offering the prospect of decreased bloodshed is encouraging, the fact that the Colombian state continues to abide by the Washington Consensus and its neoliberal socioeconomic model sadly signifies that the country is inevitably headed for continued violence, dispossession, and suffering by the vast majority of the population. When the Colombian government and the western media recognize that Washington intervention exacerbates the violence, rather than helps minimize it, then possibly Colombia can begin to extricate itself and pursue a course that will enable the Colombian people to achieve lasting peace and social justice. Hristov, Jasmin. Blood and Capital: The Paramilitarization of Colombia. Ohio University Press; 1 edition, 2009. Kindle edition.